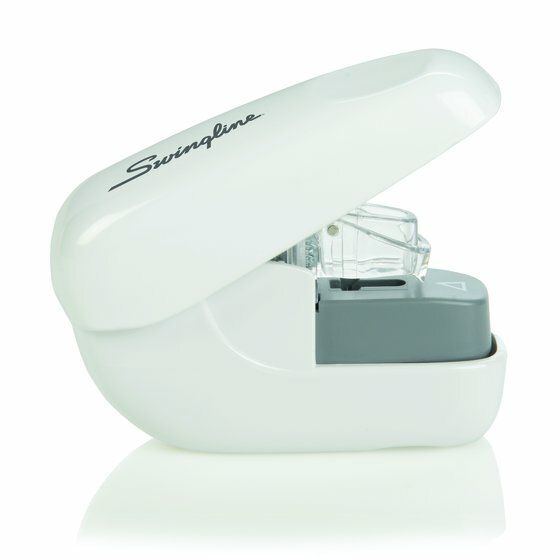 Stapleless stapler is a unique alternative to traditional staplers - it does not require any staples! Fastener uses unique "punch-n-tuck" design to neatly and securely hold papers together. 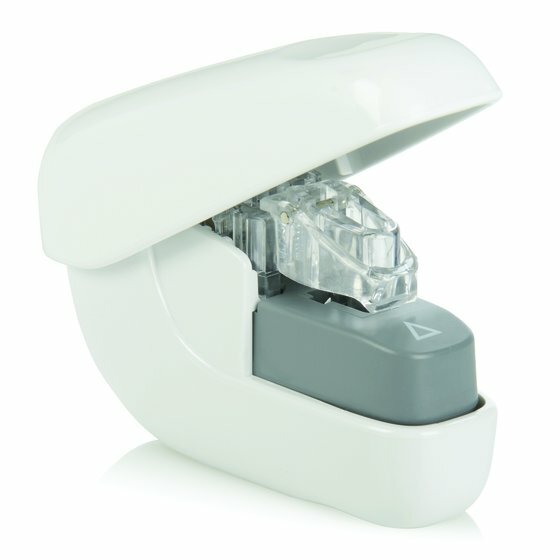 Stapleless stapler fastens papers together without staples. 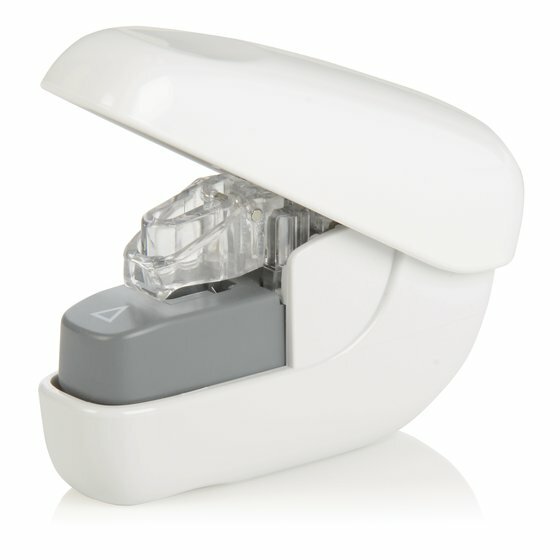 Suitable for all ages, the stapleless stapler is great for home, school, office and travel use.